Kurds may be about to vote to forfeit their autonomous status in Iraq only to join Turkey under military rule. Turkey’s President Recep Tayyip Erdogan has promised heavy sanctions against parts of northern Iraq, should Kurdish secessionists go through with their threat to hold a referendum for “independence” in two days time. With leaders of the separatist movement declaring that they will proceed with the referendum in spite of the US, Russia, Turkey, Iran and Iraq all opposing such a move, Turkey is already working on the details of its contingency plan. Historically, Turkey’s relations with Iraqi Kurdish groups has been better than its relations with those in Syria, as the latter are openly aligned with the PKK, a Turkish based group classified by most countries as a terrorist organisation. In spite of this, Turkey is steadfastly opposed to Kurdish separatism in all areas, including in Iraq. The Iraqi Kurds stand in defiance of the international community in holding their referendum which non-Kurds in the area are set to boycott. Turkey’s National Security Council has held meetings in order to develop a response that based on the language used in the Turkish press and by Turkish officials, implies a stronger response than mere economic sanctions or even economic boycott. “We have discussed all options in the event of the referendum taking place and if it doesn’t. Turkey takes this matter seriously and will act to protect its national security interests”. This is similar language to that which Turkey used prior to commencing operation Euphrates Shield and also Turkey’s less talked about military intervention in northern Iraq. While both Euphrates Shield and Turkish involvement in the Iraqi conflict were opposed by Damscus and Baghdad, the issue of Turkey intervening in a Kurdish separation zone presents more dubious legal realities. While any country’s intervention in the borders of another state must be done with the consent of the state which is being entered or else be authorised by the United Nations, if the Kurds vote for separation, the area could become a partial no-man’s-land, albeit on legal Iraqi territory, thus making the matter instantly turn from an area of black-and-white to one of grey. Turkey could then make the argument that a renegade entity which legitimately threatens regional security is operating on Iraq soil and invoke the Caroline Test in order to legally justify a military presence. Iraq would be caught between a rock and a hard place were such a thing to happen. On the one hand, Iraq does not want to see its territorial integrity threatened by Kurdish militants and does not need to fight another armed conflict on yet another front. On the other hand, Iraq has already expressed its anger over previous Turkish incursions into Iraqi territory and a further incursion would likely not be popular in Baghdad, even given the different circumstance. In the longer term, if the Turkish presence became semi-permanent, Iraq would still have effectively lost an oil rich part of its legal territory, thus making Iraq a country that has been the victim of poor fortune more than just about any other over the last 30 years. In reality though, if nothing and no one prevented Turkey from going into Syria and Iraq previously, without a legal mandate, surely nothing is going to prevent Turkey from going into a would be Kurdish entity in Iraq. This intervention could be legally justified as an uncontrollable Kurdish entity on Turkey’s border does post genuine concerns not just for Turkish security, but also for the security of Iran, Iraq and Syria. Each of these countries have Kurdish populations, among which, are secessionists. While political differences exist between various Kurdish factions from state to state, it is not hard to extrapolate a domino effect based on a blood and soil nationalism which trumps pre-existing party political differences. As for the wider international reaction, one only needs to remember that in 1974 when Turkey illegally invaded Cyprus, none of the major powers did anything to stop this. While the invasion of Cyprus was and remains totally unjustified, such a move against Kurdish forces is again, far from black-and-white. The key point here is that if no one stopped the invasion of Cyprus and today no country does anything meaningful to end the Turkish occupation of Cyprus, who is going to do so in respect of self-proclaimed Kurdish regions of Iraq? The short answer is: no one. Furthermore, while nuclear Israel is the only nation in the region and the wider world in favour of Kurdish “independence”, Turkey has historically been and remains one of the few countries in the region that isn’t subject to regular Israel treats, invasions and bullying. Indeed, throughout most of the 20th century, Tel Aviv and Ankara had good relations. This dynamic will simply not change over the Kurdish issue. Beyond all of this, there is also a farcical nature to the Kurdish adventurism in Iraq. After years of legal autonomy in Iraq both under both the Ba’ath Party and under more recent post-2003 governments, Kurds in Iraq may find themselves going backwards in this respect. If they pull the trigger on “independence”, Turkey might well send in the tanks, drones and troops and occupy that portion of Iraq. In this sense, the Kurds in Iraq may be unconsciously voting to forfeit their autonomous status in Iraq, only to join Turkey as a land under military rule. It is both ironic and surreal. If it destroys Assad’s cannon the it is not Syria’s TOW missile. Besides, Syrian Arab Army does not using TOW missiles. And you samo war, you are full of crap. And if Turkey does invade and occupy N. Iraq, will the West slap sanctions against it as they did when Russia peacefully and legally annexed the Crimea? Russia DID NOT “annex” Crimea….look up the definition if you must! While I agree with most of your comment, I cant let that point slip by. Using the same term as the West only gives credence to its lie. As bad as the constant use of the word regime in describing the freely elected government of President Assad by the presstitues. I agree 1000%. The term “regime” should be applied to the US instead. 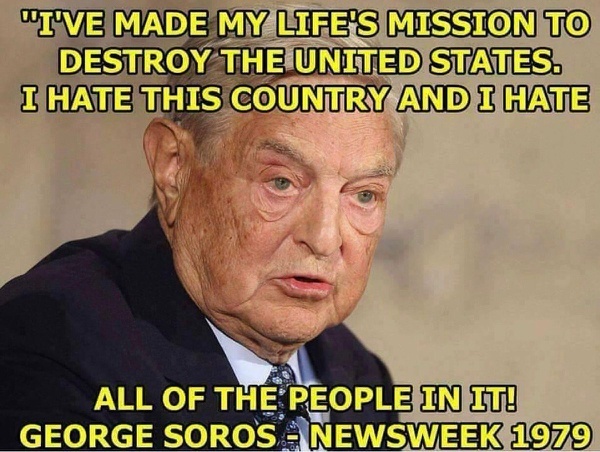 Accurate..IT WAS ALWAYS THE PLAN by Rothschild/Rockefeller puppets of SOROS,BUSH,CLINTON,OBAMA to destroy the country ……THE INTERNATIONAL BANKERS!!!! That statement alone should have qualified Sssssssoros (H/T Suzanne) for the ‘known terrorists’ list – or even a drone target. Plenty of foreign leaders have died for far less. I don’t recall Quadaffi ever saying anything as threatening – even after Reagan killed his son – planning a non-banker-issued gold-linked dinar was his fatal error. The communities of India have had a more cohesive sense of community than the Arabs, even without adding Turks and Iranians to this mix. The fact that they haven’t been able o make any serious effort to collaborate on various endeavors explains why the divisions exist even today. Another well written and logical opinion of the future for the Kurds who in their quest for more power will lose all the power they currently have. Turkey is in its way to be cut I to pieces. And Kurdistan will play a leading role.